Cape Town knows how to party and there’s something to suit everyone’s tastes. Whether you like dance music or hip-hop, our guide to Cape Town nightlife hotspots will help you plan your evening – from finding the best party to organising a safe and reliable ride home. If you’re looking for good music and a good time, head to Long Street – one of the city’s liveliest areas. It’s known for its art and culture, and many of the most popular nightclubs in Cape Town are in the area – such as R&B club, restaurant and cigar bar Club 169. 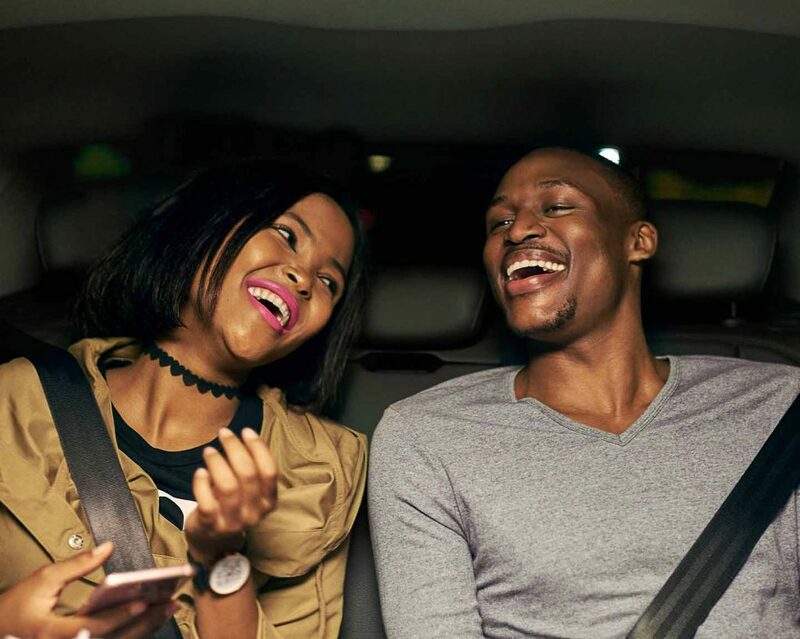 Expect it to be packed, but even in the hustle and bustle outside at the end of the night, you’ll be able to easily identify your driver-partner because the Uber app will give you a photo, vehicle type and license-plate number. When you want a laid-back but luxurious night out, Camps Bay is the place to go. This upscale, beach-side suburb has just the right balance between a night-time buzz and a cool, evening ambiance. It’s a great place to watch the sun go down as you enjoy a drink with friends, with popular clubs such as the local hangout, Dizzy’s Café, and the effortlessly cool Café Caprice. Your plan to be home in time to get a decent night’s sleep might be hard to stick to because many clubs are open until 4am – but if you really want to hold yourself to it you can use Uber to Schedule a Ride in advance. Cape Town’s cool new kid on the block, Bree Street is fast becoming the place to be seen. If you want a night out that’ll boost your Instagram, this is the place to go, thanks to clubs such as The Station with its urban, underground (literally) vibes. If you and your friends are travelling separately, you can use the Send Status function to share your estimated time of arrival and make sure everyone gets home safely. The historic area of Claremont is another picturesque place to party. Based in the suburbs in the south of the city, this area is relaxed and cosy during the day and then picks up in the evening. There’s the popular Tiger Tiger Claremont club as well as Tin Roof and the retro-inspired Boogie nightclub. Party the night away until 4am, and if you forgot your glow-sticks in your Uber on the way home, you can use the Uber app to get in touch with the driver even after your ride is over. All you have to do is pick a place to party and you’re just one tap on the Uber app away from your next night out. What’s going on in Pretoria this December?